– Placed in the sealed nomination box at Gardens Tennis. What programs can I do? Get Started with your FREE introductory lesson today! 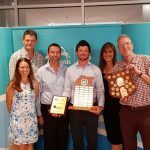 Gardens Tennis is the largest and one of the most successful community tennis centres in Darwin. 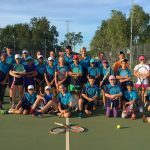 The facility is located in the heart of thriving Darwin and consists of 12 hard courts under lights, a Pro Shop, a hitting wall and air-conditioned clubhouse. The centre is adjacent to SKYCITY Darwin and the popular Mindil Beach and part of the Gardens major sporting complex. Gardens Tennis provides people of all ages and standards with an opportunity to play tennis, live healthier and active lifestyles, make friends and network with people from all walks of life.